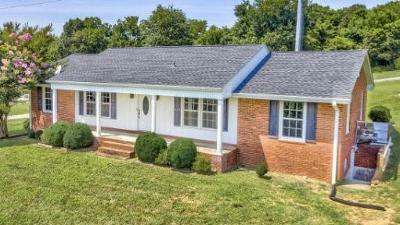 Beautiful move-in ready brick ranch! Kitchen features new cabinets, newer stainless steel appliances, a ceramic tile floor, and new counter-tops with a back splash. Interior upgrades include fresh paint, crown and chair molding and new flooring (carpet, tile and hardwood). NEW roof added just 4 years ago! Other improvements include Thermopane windows, new gutters and a recently replaced furnace, a/c unit and hot water heater. Basement offers plenty of space to finish to double the square footage and the bathroom is already plumbed. All this in an ideal location with incredible mountain views!! !